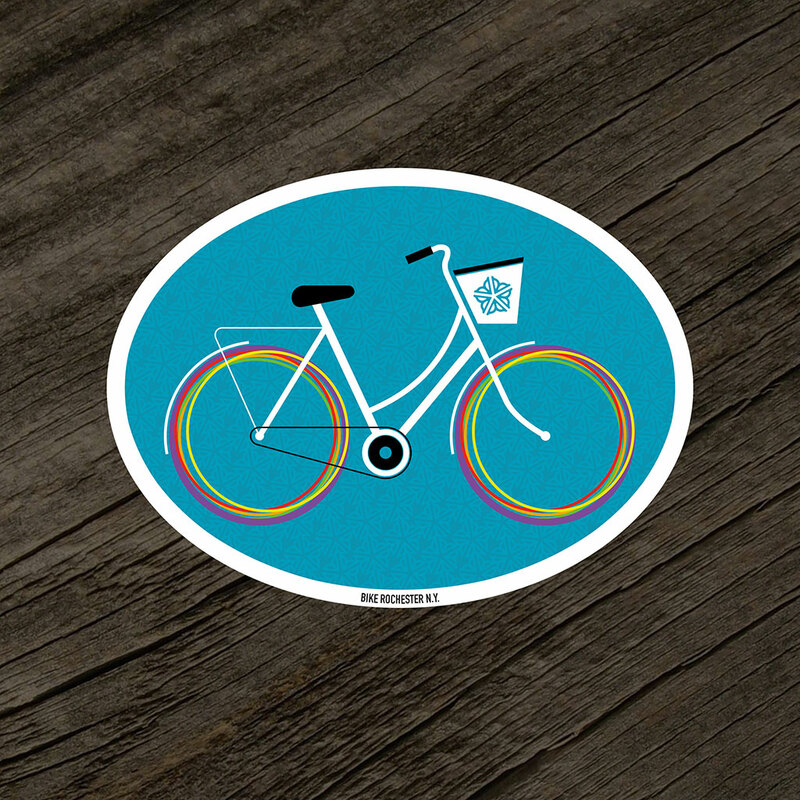 Roll through the streets of Rochester with this colorful sticker stuck to your bike, satchel, lunch pale, or whatever else you might like to stick it to. Or buy a handful and stick ‘em everywhere! This oval sticker measures 4″ x 3″ and is printed on glossy, UV coated vinyl – perfect for outdoor use.